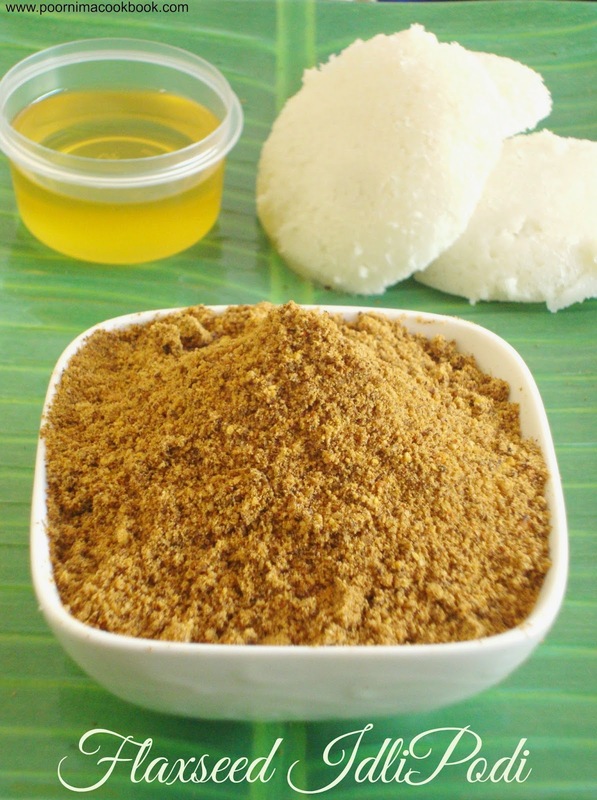 In this recipe I have added Flaxseed to give healthy twist to our usual Idli Podi. 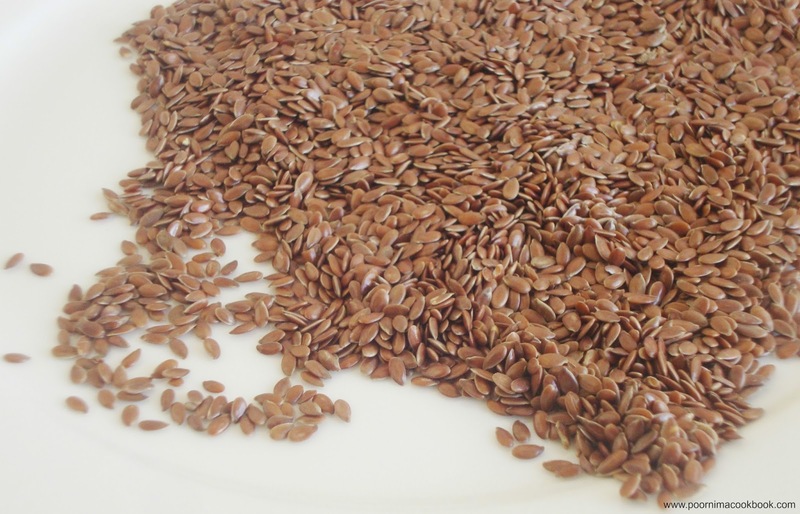 Try it out to include this healthy seed in your daily routine for a healthy living! Heat a tsp of oil in a kadai; roast the sesame seeds and flaxseeds (like sesame seeds, flaxseeds also crackle while roasting). Transfer this into a plate. In the same kadai, roast red chillies, urad dhal and channa dhal till the colour changes to golden brown (make sure not to burn the dhals). After it is completely cooled, add the flaxseeds and sesame seeds, roasted dhals, redchillies, asafoetida and salt in the blender / mixer and grind it into a coarse powder. You can also add 4 to 5 garlic cloves for variation. 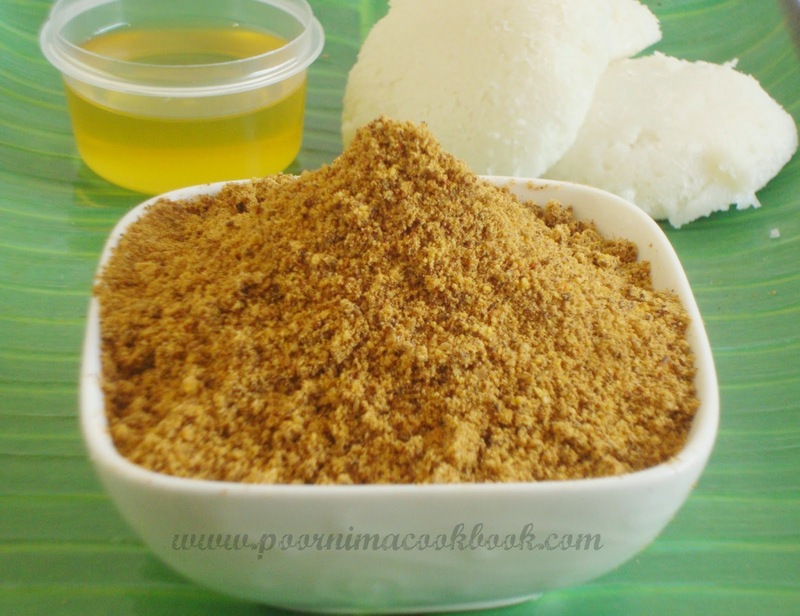 Healthy podi to be served with idli dosa. Cant make a side dish healthier than this poornima. Such a healthy podi Poornima :) In India i found flaxseeds idly podi in organic shops, but nothing like making it at home. Thank you Priya and Lincy.